The Visual Arts program at Thomas Nelson offers a photography studio with advanced lighting and cameras to support photography student. Located near the photography lab is a classroom with the latest Mac computers. We also offer two Mac computer labs located in Templin Hall for our Fine Art and Graphic & Media Design Students. 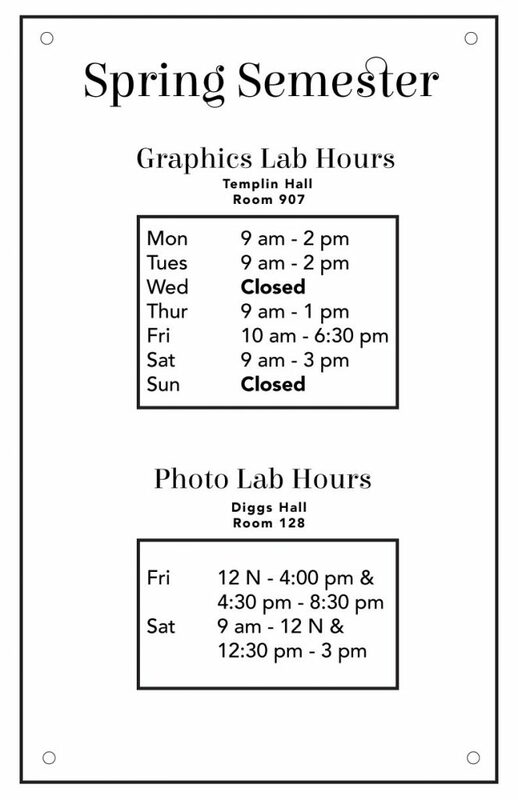 See below for photo and graphics lab hours. Graphics Lab is located in Templin Hall room 907. Photo Lab is located in Diggs Hall room 128. The Graphics Lab is open today (Thursday, March 7th) from 10 am to 3pm.